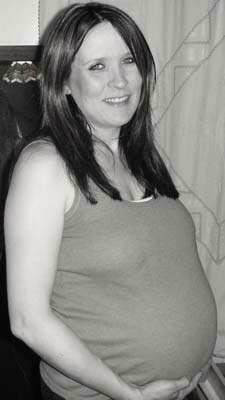 This is a photo taken at 38 weeks pregnancy and the mother to be delivered her baby boy later that very same evening! Just goes to show that babies will arrive when they want to and not necessarily when you expect them to! If you would like to see your pregnancy photos or ultrasound images featured on this site simply email them to Breastfeeding Mums. Include your URL if you would like a link back to your website or blog. It would be much appreciated if you could state how many weeks pregnant you are or how many weeks old the unborn baby is in each photo. Thanks!